Or, get it for 26000 Kobo Super Points! 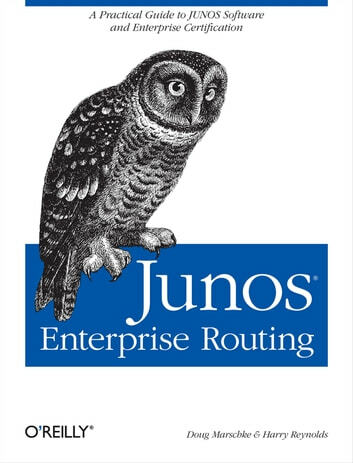 Written by the instructors and creators of the JNTCP-ER Certification Exams, JUNOS Enterprise Routing is the only comprehensive book for Juniper enterprise and edge routing environments. It offers complete coverage of all the services available to the JUNOS administrator, including JUNOS Enhanced Services (ES). This book is the official study guide for all three Juniper Enterprise Routing certification exams, and is highly recommended reading to pass the exams. With its field-guide emphasis on practical solutions, you can easily take the book beyond the classroom and into working networks as a design, maintenance, and troubleshooting reference par excellence. With more services such as voice, conference, and multicast on the IP router platform, the market for enterprise routers is growing exponentially, and the need for certified engineers to keep up with network developments in protocols and security is paramount. For everyone who works with Juniper enterprise and edge routing environments, this is a must-have book.